Voters are being turned away from the polls in a series of controversial anti-election fraud trials taking place across the country as millions of people cast their ballots in the local elections today. Problems have arisen with ID trials piloted in Bromley, Gosport, Swindon, Watford and Woking's elections where people have been told they do not have the correct documents to submit their votes. The trial, introduced by the Cabinet Office, means residents must bring photo ID or two documents showing proof of address from an approved list of sources. 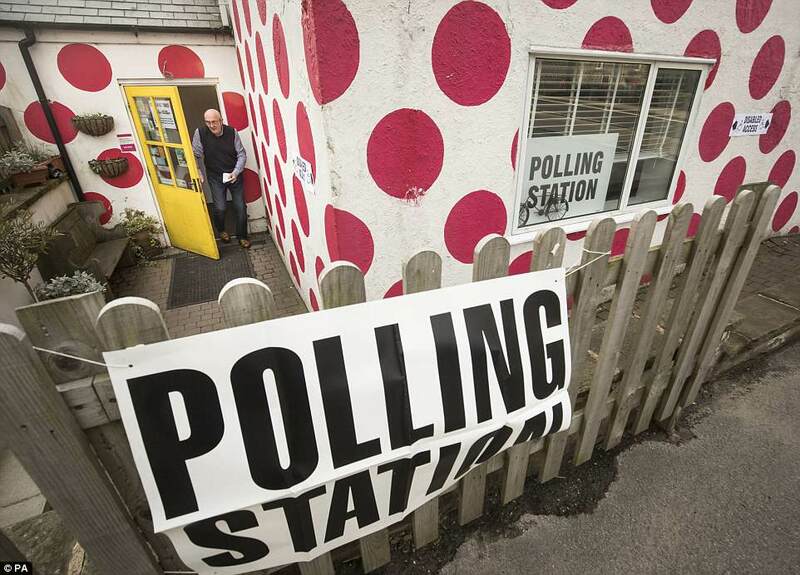 But it has been branded 'nonsense' by some angry locals whose attempts to vote were rejected including 76-year-old Peter White who could not vote in Bromley for the first time since 1957 despite knowing the volunteers at the station. The plan, similar to a system in the US, has divided opinion with some supporting it as a way to stop election fraud and others claiming it will disenfranchise vulnerable people including older voters. 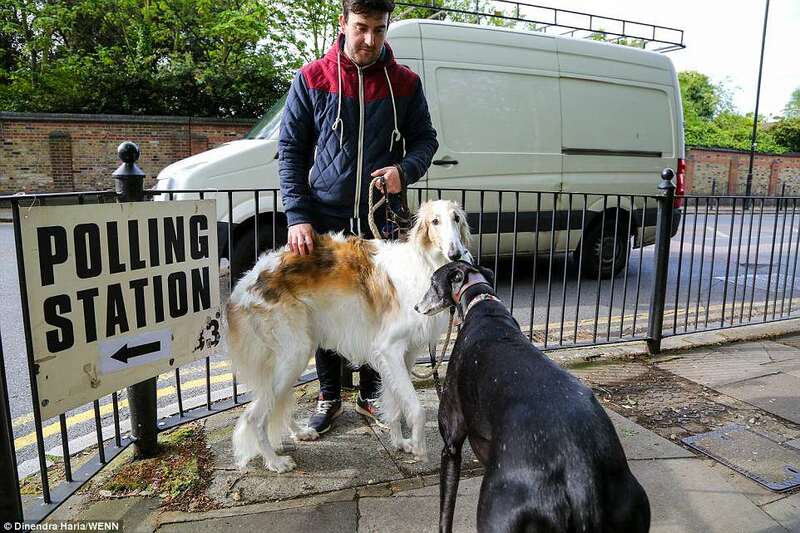 Millions are voting in more than 4,000 seats across England today but London is expected to be a key battleground with Westminster, Barnet, Wandsworth and Richmond-upon-Thames all targets. 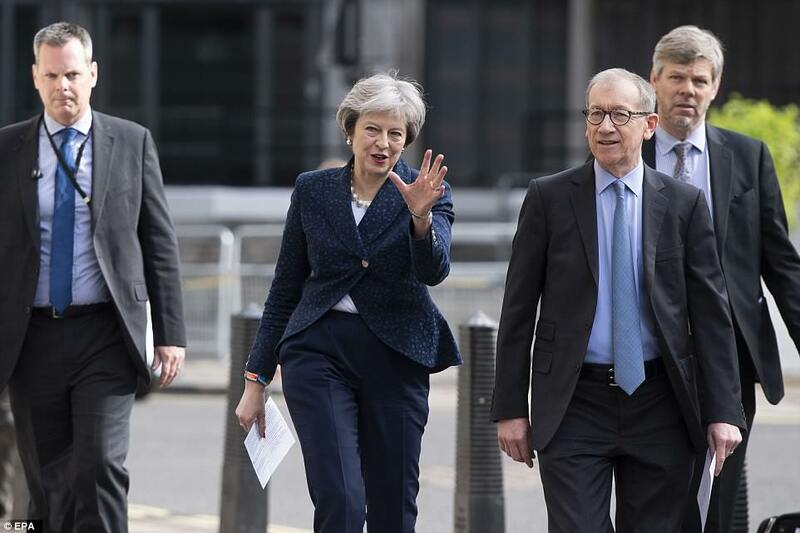 It could be a difficult day for Theresa May as the Conservatives face losing ground to Labour in London in what could be a political wipeout, although Jeremy Corbyn's party has also drifted in national polls following the anti-Semitism scandal. Experts believe the Tories could be left with just two councils in the capital, although pollsters say the party will present much stiffer competition elsewhere across the UK. Mr White, 76, of Bromley, said he was 'shocked' to be turned away at the polls because he did not have his bank card or passport on him. WHY ARE ID TRIALS TAKING PLACE AND WHAT DO VOTERS NEED TO BRING? Currently polling stations do not require you to present formal ID when voting - or even a polling card - with volunteers confirming your address on a form. The ID trials causing controversy today were brought in by the Cabinet Office after reports of alleged electoral fraud through voter impersonation more than doubled between 2014 and 2016, according to the Electoral Commission. Woking, Gosport, Bromley, Watford and Swindon volunteered to take part in a trial, which require voters to produce ID before being issued with a ballot paper. The exact form of ID varies from council to council, with some requiring a picture ID and others proof of address. For example, Watford and Swindon required voters to bring their polling cards with them to cast their ballots, whereas it is not compulsory in general. The toughest restrictions appear to be in Bromley in south east London were voters must bring either photo ID such as a passport or driving licence OR two documents including marriage or birth certificates, bank statements or utility bills, with at least one containing proof of address. He told the Independent: 'I can't vote even though the people know me here and I have been a candidate for the Liberals before. Even after all that they still won't let me vote. Elsewhere Woking polling booths are accepting bus passes as photo ID, but Swindon Borough Council are not treating them as acceptable documentation. It sees the UK follow in the footsteps of the US, where 33 states have introduced some from of ID requirement with Indiana the first to enforce a strict photo ID law in 2006. But critics in the UK say there is no evidence to bring such laws to Britain. Darren Hughes, Chief Executive of the Electoral Reform Society, said: 'The government has no evidence to support its mandatory voter ID plans. That is more clear than ever when they push highly misleading statistics – ones which have now been denounced by the official statistics body. It is right that ministers are being held to account over these trials' dodgy foundations. 'Ministers are grasping at straws, and their draconian push to make ordinary voters show their papers before using their right to vote now looks desperate. The government must stop trying to trick voters and come clean. Last year there were just 28 allegations of 'personation' in polling stations – the type of fraud voter ID seeks to address – out of nearly 45 million votes cast. That makes this policy a sledgehammer to crack a nut – particularly when our respected legal system is more than equipped to deal with the issue. 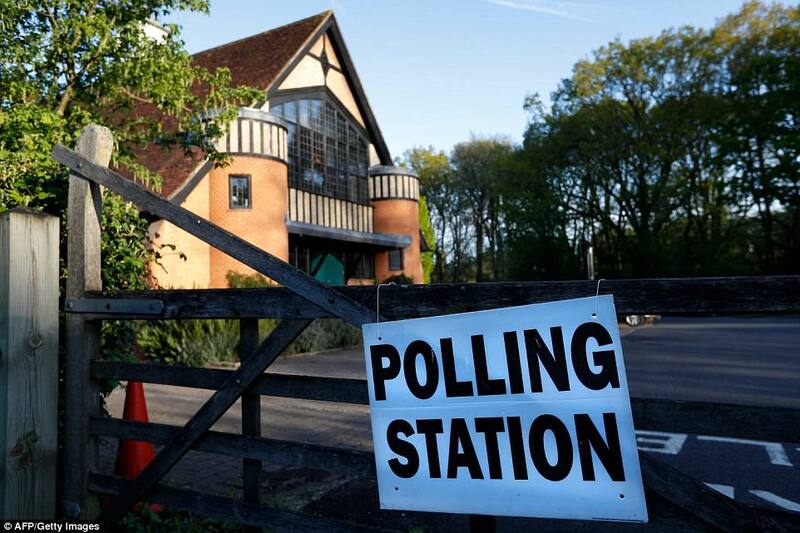 The presiding officer at the polling station in Sydenham Tennis Club, in the Borough of Bromley, said 'Only a very small percentage' of voters had forgotten or were unable to provide ID. 'Polling cards are important because they're a reminder,' she said. Mr Aziz said: 'This gentleman turned up, showed his ID which included a picture that was clearly him, it was an exact resemblance, but they wouldn't accept it as it was not on the list of acceptable forms of ID. 'He was fuming. He was furious. He is a British national and he couldn't vote. Hazel Walters, a resident of Bromley since 1983, told the newspaper: 'It's absurd. I think it will discriminate against people. Not everyone's got a passport, a driving licence and all of that. I think people will be disenfranchised,' she said. 'We're trying to get homeless people to exercise their right to vote, and then at the same time we're putting all these barriers in place. The council didn't consult on this or anything. Cat Smith MP, shadow minister for voter engagement, said: 'The Government was warned by the Equality and Human Rights Commission and over 40 leading charities and academics the voter ID will have a disproportionate impact on older people, young people, BME communities, trans people and disabled people. 'This was always going to be a sledgehammer to crack a nut. The Electoral Commission found that out of nearly 45 million votes cast in the local and General Election in 2017, there were only 28 cases of alleged voter fraud. 'That's less than 0.00007 per cent or one case for every 1.6 million votes cast. And out of those 28 cases, there was only one conviction. But instead of listening to the experts and the vast evidence base, the Government decided to implement a mistaken policy with the full knowledge that voters could be disenfranchised. Meanwhile Bradford Council has apologised after a presiding officer turned away voters for not bringing photo identification to a polling station, despite none being necessary because it was not part of the trial. Finnegan Pope-Carter, a company director from Shipley, near Bradford, said he arrived at a polling station at 8am and was asked for identification papers. The Conservatives have a strong majority of 30 councillors in the affluent borough, but Labour are hoping anti-Brexit feeling can tempt voters their way. Labour have embarked on an intensive door-stepping campaign while Jeremy Corbyn has spoken at local events. But local councillors have described themselves as 'hopeful but not expectant' about their chances. The Tories control the council but have a majority of just one, making it one of Labour's biggest targets. Labour supporters have been campaigning against Conservative taxes while the Tories claim Labour is exploiting the poor for 'political football'. There are also concerns the anti-Semitism scandal could harm the party's chances due to a large Jewish population. 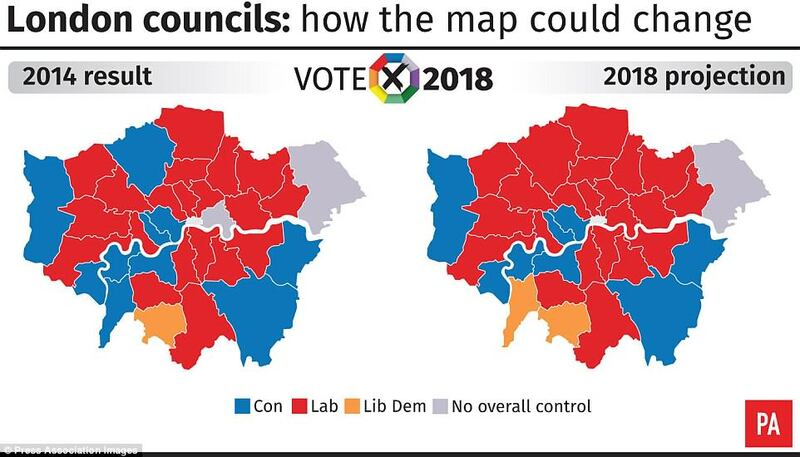 Again, the Conservatives should be safe in 'Margaret Thatcher's favourite borough' with a majority of 18 and the council has been blue for 40 years. But Labour made gains in the area at the General Election and ousted junior health minister Jane Ellison from Battersea. Both parties are pledging hundreds of new homes in the area while council tax is another key issue, with Wandsworth currently offering the second cheapest in the country at £716 per year. The Liberal Democrats are looking to win back Richmond after losing it to the Conservatives four years ago. The Tories currently have a majority of six but the Lib Dems have been out in force in the area, aiming to get votes from EU nationals who oppose Brexit. He was eventually allowed to vote after fetching his driving licence from his car but Dr Chrys Harris, an archaeological geophysicist and wife to Mr Pope-Carter, was refused multiple times. 'I didn't have my polling card or a photo ID on me. I told them repeatedly that I did not need them either. They refused and said I did,' she said. Dr Harris said she almost gave up on casting her vote as the polling station clerks assisted other voters. 'I stood my ground and finally they rang a superior who said I was allowed a ballot,' she said. A spokesman for Bradford Council said: 'We apologise to the very small number of voters concerned who were asked to provide ID to vote in one Shipley polling station today. 'We were alerted to the matter early this morning and it was dealt with immediately. 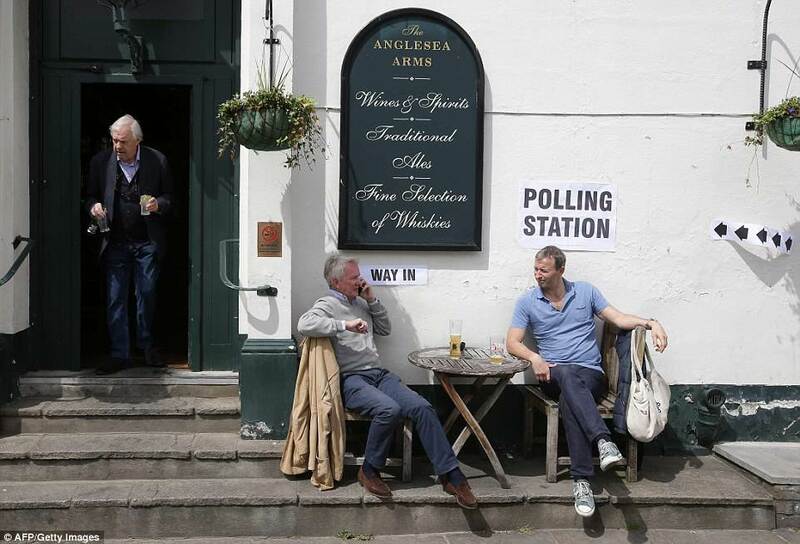 Elsewhere a man has been arrested on suspicion of possessing a firearm at a polling station in Northern Ireland. Police investigating the incident in Greencastle in Co Tyrone detained the 59-year-old on suspicion of possession with 'intent to cause fear or alarm'. Voters in West Tyrone have gone to the polls for a Westminster by-election caused by the resignation of former MP Barry McElduff. Police in Omagh received a report of a man acting suspiciously at a polling station on the Crockanboy Road, Greencastle, just before 1pm on Thursday. Chief electoral officer Virginia McVea said: 'Earlier today a man approached the poll staff in Greencastle polling station and produced what appeared to be a handgun from his pocket. 'He engaged with staff then left the polling station without any weapon being discharged. Mrs May was among several politicians to cast her ballot early, voting at Central Methodist Hall in Westminster with her husband Philip this morning, while Jeremy Corbyn, Boris Johnson and Sadiq Khan have also been to the polling stations. 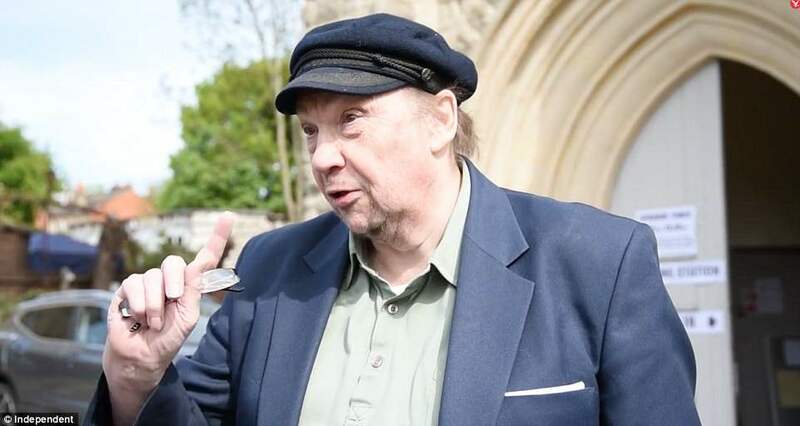 Meanwhile the election in Southwark's newly formed London Bridge and West Bermondsey ward has been halted following the death of Conservative candidate Toby Eckersley aged 76. Mr Eckersley previously served as a councillor for 37 years in Dulwich and received an MBE for political and public service in 1989. His death means the poll must be rescheduled for a new date within 35 days. London is the major battleground after recent polls pointed towards a substantial swing to Labour. 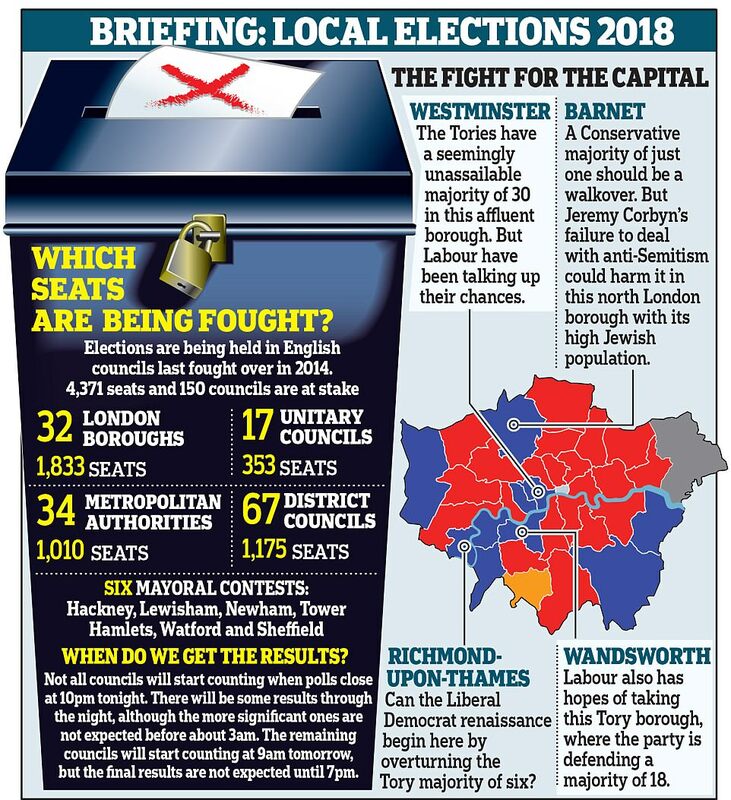 Jeremy Corbyn's party will be hoping to win control of Tower Hamlets and Barnet and possibly even the flagship Conservative councils of Wandsworth and Westminster. But upsets are also possible around the country, with Labour also hopeful of taking power in town halls from Kirklees and Calderdale in Yorkshire and Trafford in Greater Manchester to Plymouth and Swindon in the south. Polls close at 10pm and the first results could begin to arrive at around midnight and are expected to be in full flow by 2am. Mr Corbyn had a smile on his face as he went to the polling booth in Islington this morning amid predictions his party is set for a major boost. But Foreign Secretary Boris Johnson did not look too worried as he cast his vote at a polling station in Westminster today. Speaking outside his polling station, Mr Corbyn accused the Conservatives of killing children with 'heartless' austerity policies today as he ramped up the rhetoric for the local elections. The Labour leader said the government's policies had 'almost certainly' increased the death rate and infant mortality. The intervention comes amid signs the anti-Semitism crisis that has been wracking the party could limit its gains in the English council polls. Shadow chancellor John McDonnell also risked a backlash today by suggesting Labour authorities could increase council tax - saying he believes voters are ready to pay more. Senior Labour figures have been trying to play down expectations, having previously boasted they were on track to seize Tory strongholds in London like Westminster, Wandsworth and Barnet.